We know you are intoxicated already. Hotlane can create dependence. And so here you get the new single. This time we don’t joke: The new song “My Favourite Habit” from the current Hotlane single “The EP” comes with a heavy remix package. 4 tracks – full of Love! 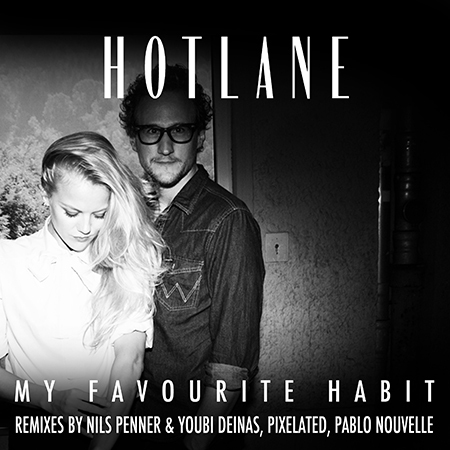 Hotlane – the wonderful indiepop/ slow house duo from Berlin finally finished their debut EP. The EP comes out now on Gomma including the 2 pre-singles and 4 new songs. The press described them as the perfect mixture of Chromatics, Portishead and Nicolas Jaar – and we thing they are not far from that. Get the EP now on iTunes, Beatport and others. First single of Gomma’s POP FUTURO compilation. End of April Gomma will release a compilation with new forms of pop music. Including songs / remixes by Daniel Avery, Moullinex, Hot Chip, Metronomy and others. Old and new stuff. The lead single is a magic song by Junior & Baumon. Don’t listen much. A beautiful 3 minute pearl of an electronic song. Featuring the brilliant voice of American songwriter Ian Fisher. The extended version of the song has been out already some months ago and had over 500.000 plays on SC and Youtube. Now we release the original, main short version of the song as an appetizer to the compilation. The song is: brillant. Here is the collection of sick and effective remixes for the Munk album. Twelve killers – no fillers. All together out now as a package. HNNY, MIGUEL CAMPBELL, KOLOMBO, SOCIAL DISCO CLUB, LCAW, CAIO ZINI, the sweet german house maestros COEO, SATIN JACKETS and of course PURPLE DISCO MACHINE with their deep hit version of Deceiver. And of for the harder dancefloors there are DARIUS SYROSSIAN, PATRICK PULSINGER and PLASTIC PLATES whose versions caused panic on every dancefloor they have been played. Munk’s album is out since two months and the response is euphoric. “Brilliant masterpiece!” (DJ Mag) “Essential album!” (Pitchfork) and “addictive music!” (Fader) – that’s how they call it. So it’s time for a new remix package. Legendary German techno producer Patrick Pulsinger comes up with a 126 bpm electronic funk version. Mike Simonetti of Italians Do It Better delivers a deeeeep house versions and newcomer kids COEO bring an effective house variation that will climb the Beatport house charts for sure. One of our crazy friends from Mexico did 3 sick tracks that we decided to release. Ariel Aguisky is CAPRI – resident DJ at Mexico City’s leading clubs M.N.Roy, Mono and Rhodesia. Starting with a downtempo springtime mover that makes people sing-a-long, turning into some impossible to describe music that works on every advanced dancefloor – impossible to categorize. 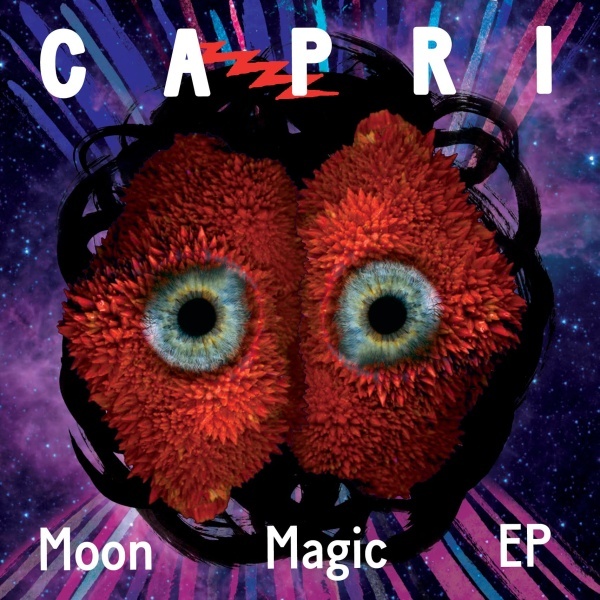 Check out Capri. Capri is special. The new Munk album Chanson 3000 has just been released. Music press and blogs are writing euphoric reviews. “Brilliant”, “A work of absolute beauty” ,”Weird, but beautful electronic pop” are just a few description from the UK press. “Deceiver” is the new single. 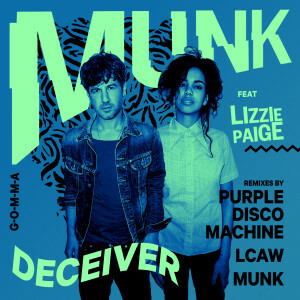 A mellow mid-tempo song – based on a strange, but driving, bass-heavy electronic beat, nasty synthlines and the absolute stunning voice of Lizzie Paige – the young American singer that performs all songs on the new Munk album along with London born vocalist Mona Lazette. The new single comes along with a great video by Milan based directors PROJ3CTSTUDIO. And remixes by PURPLE DISCO MACHINE (Exploited), new German producer genius LCAW and a country house version by Mr Munk himself. New MUNK album – out now! 23 years old american upcoming talent LIZZIE PAIGE and London born MONA LAZETTE – who has been working with artists like Catz ‘N Dogz and Kele Okereke (Bloc Party) before. The music was all written by Mathias Modica and has been recorded over the last two years in Berlin. There has been little additional help by Ray Mang and Mark Ralph (Daniel Avery, Franz Ferdinand producer) on a few songs. Already we receiving great feedback from all over the world.